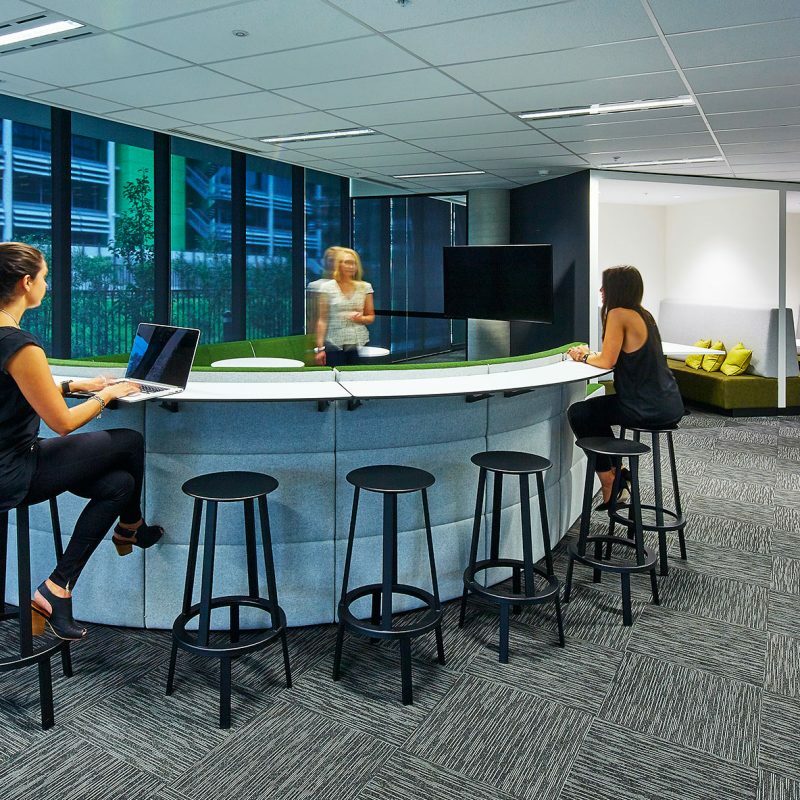 This Government Agency was the first to fully embrace Activity Based Working in NSW and so creating a pilot space and effectively dealing with change were both critical success factors with the development of this new workplace. 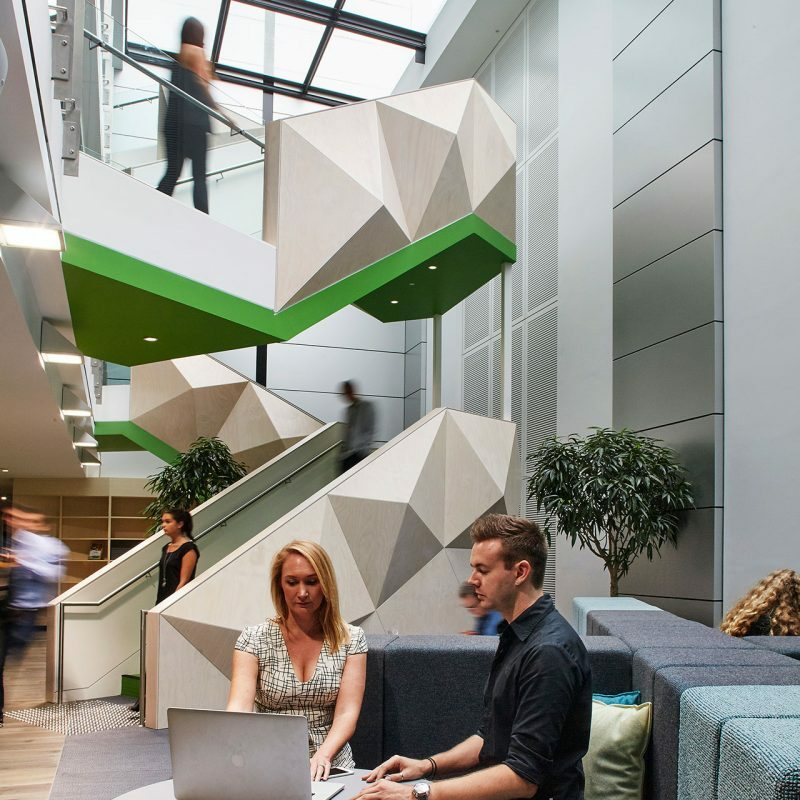 Establishing just what made people happy and comfortable was essential for this first stage of the project. 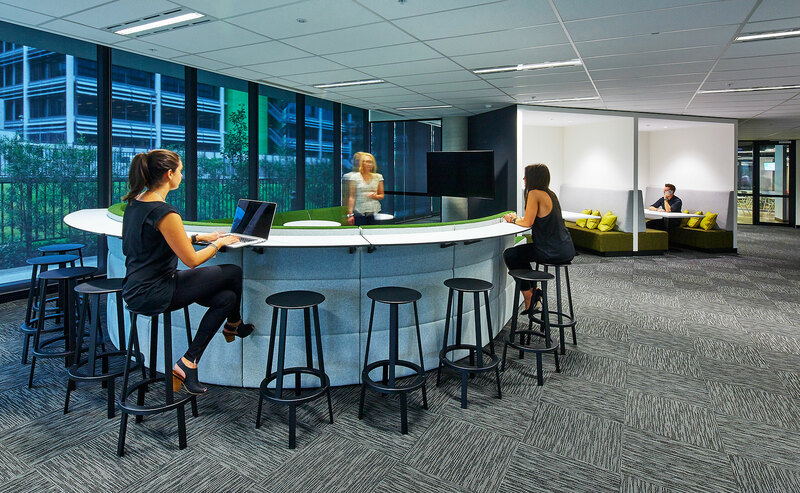 Feedback walls, an online suggestion box and idea parties all contributed to a rich database that would ultimately inform the design of the new workplace. This information and lessons learnt from the pilot directly influenced the design of the main project. 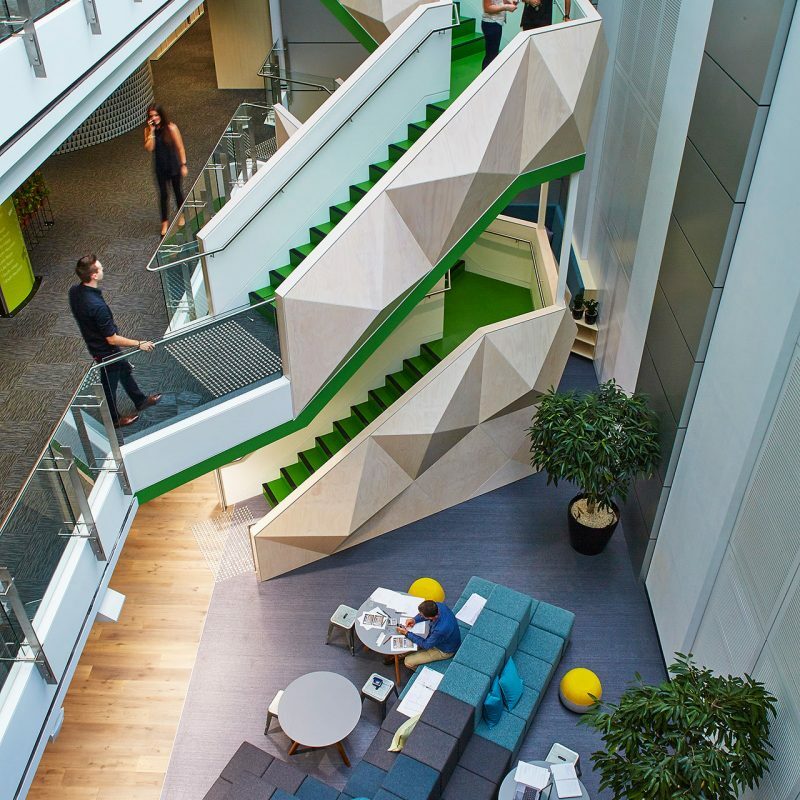 The key happiness factors were creating a strong sense of wellbeing, actively promoting movement, provision of contemplation spaces and a strong communal hub. 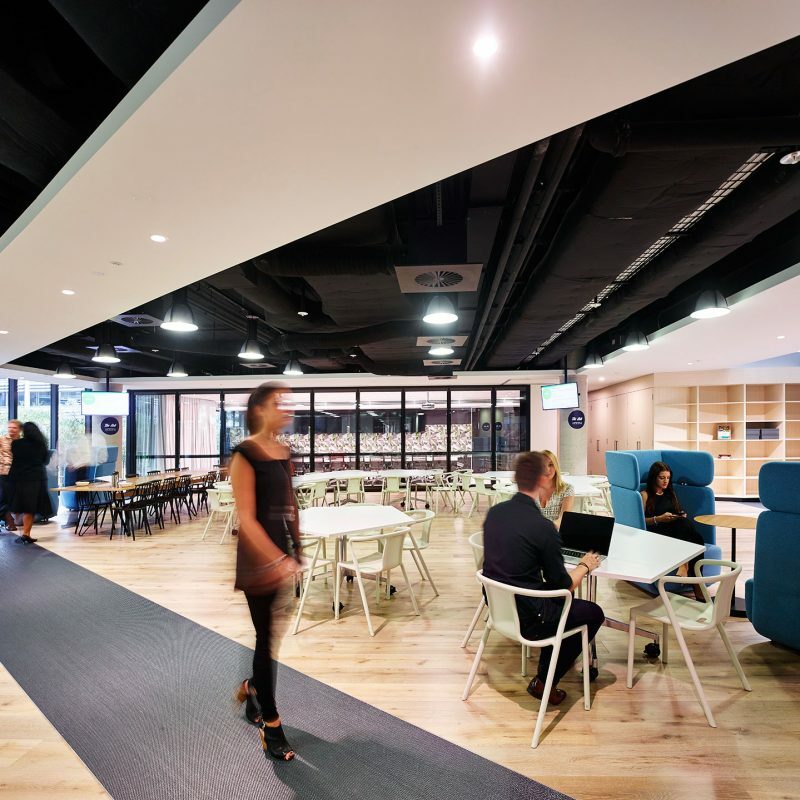 The project moved this government office from a large building in the CBD spread across multiple floors to a 3 floor development in Macquarie Park. 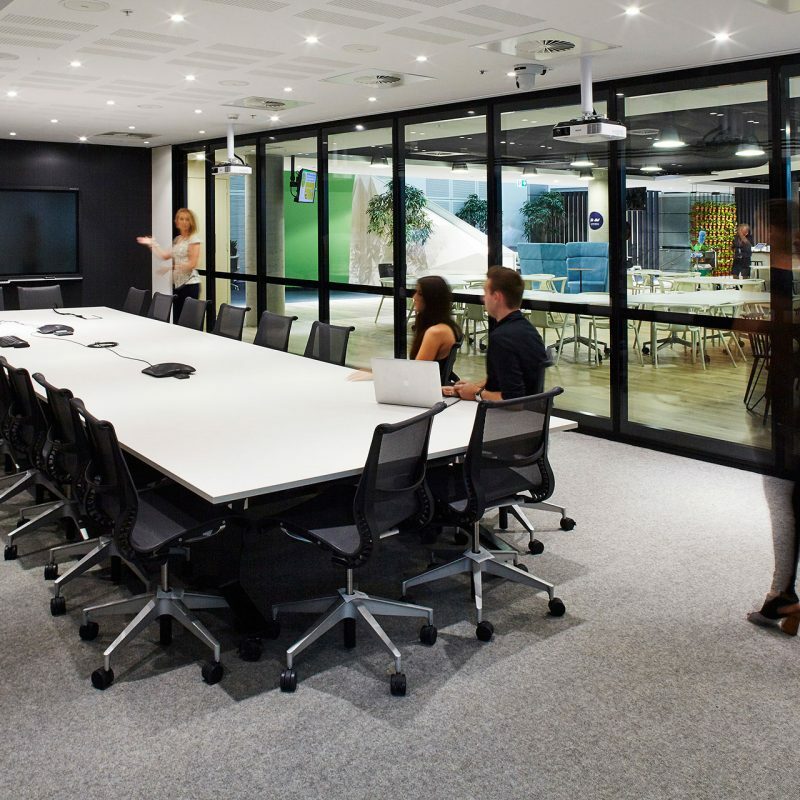 With our client, we developed an agile style of working not seen within any other government agency. 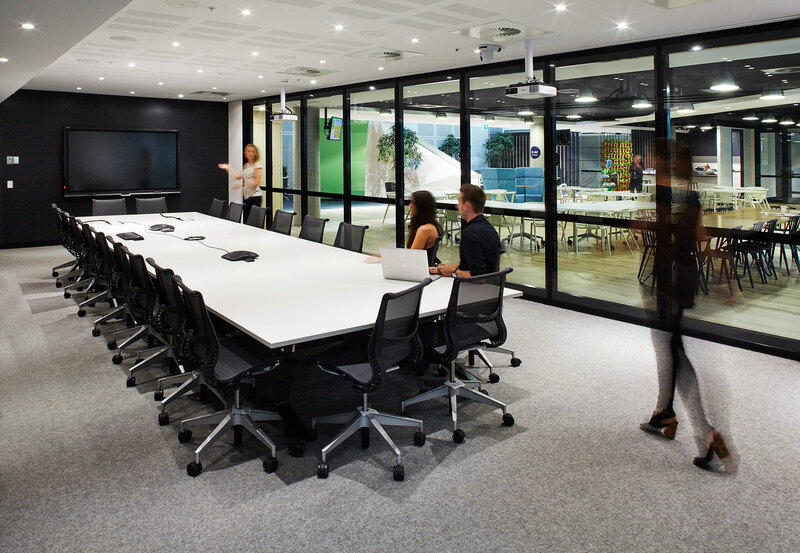 This approach involved creating both focus and collaboration studios with unassigned seating at a ratio of 10 people to every 8 seats. 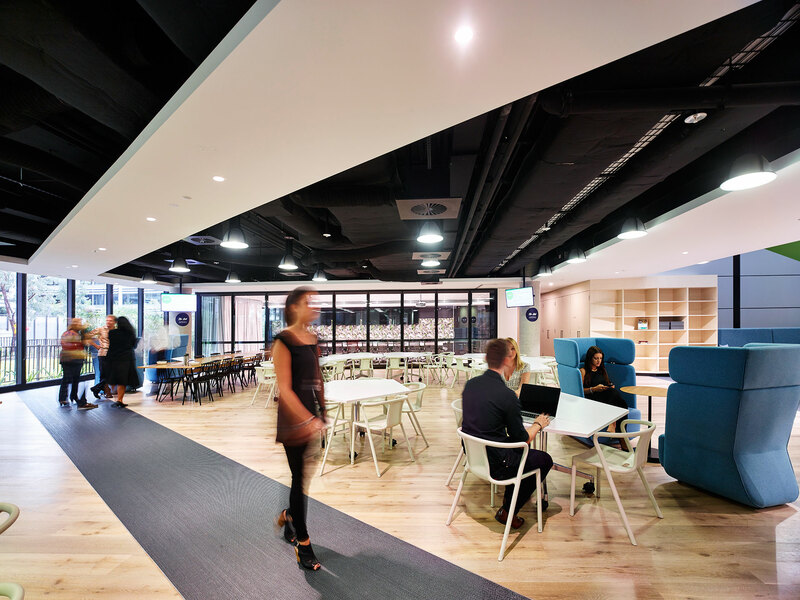 This enabled us to create a series of destination spaces that encourage interaction and movement throughout the workplace. A large central hub on the ground floor promoted a sense of community bringing everyone together in the one place for special events. At the heart of this project was the idea of connection and collaboration, momentum and innovation. 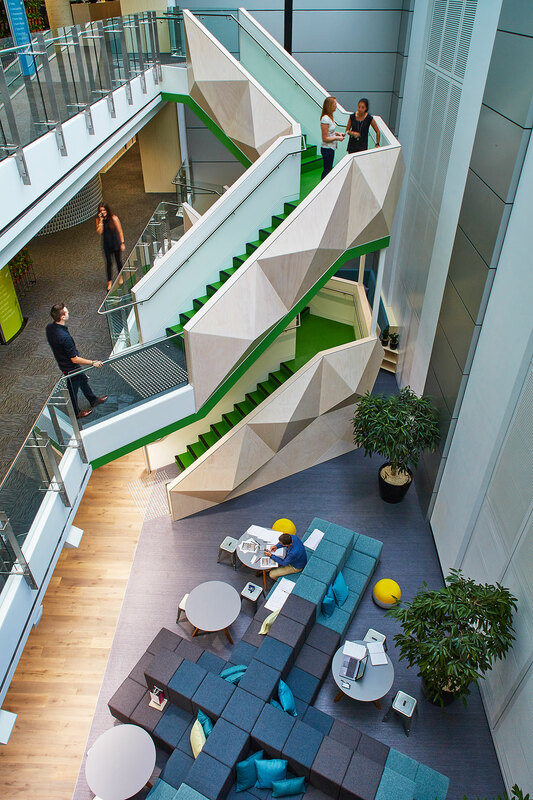 Values that are evident in the new stair, customer engagement areas, clever use of space and movement encouraging settings. 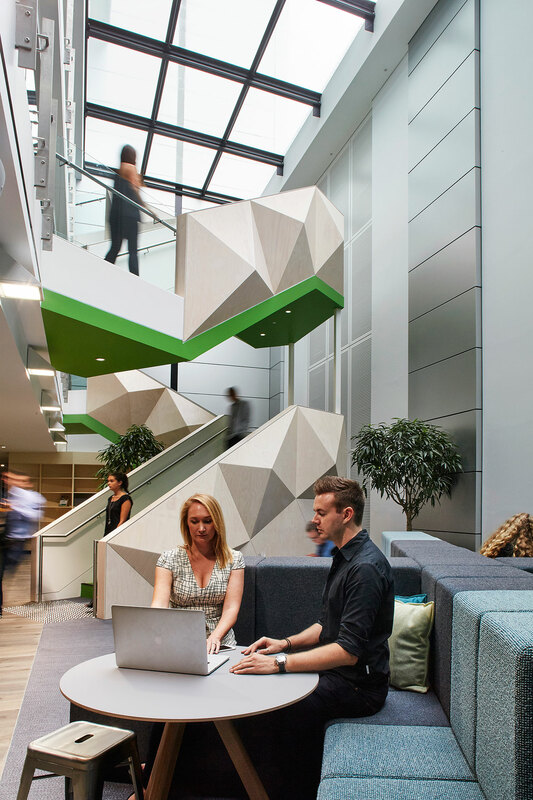 The key happiness factors were creating a strong sense of wellbeing and presentation, actively promoting movement, a high sit to stand desk content, contemplation spaces and a strong communal hub.